The glorious central committee have permitted LUC Festival marketing dept to come out of the hermetically sealed chamber they call home to dispense some exciting programme information. We are also thrilled to be showing Don Hertzfeldt‘s amazing World Of Tomorrow on the big screen, followed by one of LUC’s favourite movies, the mind-bending epic Southland Tales. Both will screen as one event on Wednesday 11th November at the Spa Centre Cinema. Book your place at these fine events as well as the other six days of #LUCFEST2015 by grabbing a festival pass for just £35 via our kickstarter campaign. 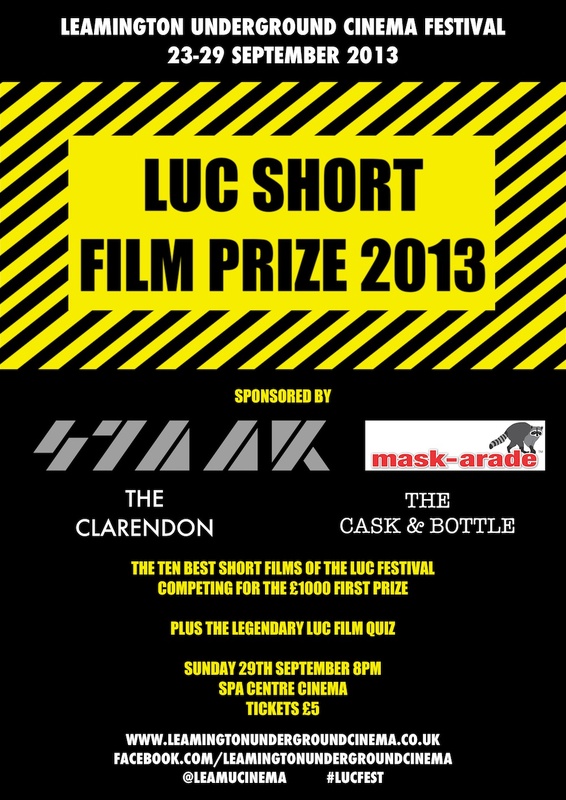 The huge, operatic finale of the first Leamington Underground Cinema will be the LUC SHORT FILM PRIZE 2013, live at the Spa Centre cinema at 8pm on Sunday 29th September. We will be screening the ten finalists, drawn from the 85 shorts being screened during the festival – which in turn were selected from the hundreds and hundreds that were submitted. At the climax, one will be winning the first ever LUC SHORT FILM PRIZE TROPHY, plus £1000! Crikey. The judging panel for the prize is made up of filmmakers, critics as well as the sponsors of this years festival. But that’s not all. In the fine tradition of previous LUC events we are also throwing in a fantastic film quiz, the likes of which is rarely seen outside of institutions surrounded by barbed wire and men with guns. …all fine upstanding bastions of the local community, I hope you will all consider them above all competitors when it comes to parting with your hard earned cash. Tickets for this fantastic event are just five quid – they will be available on the night, but are also available online if you want to be sure of your seat. In years to come you’ll be able to say you were there at the start. This all kicks of at 8 sharp, the doors to the cinema will be open at 7.50 – why not dive down to the spa centre for a drink first? The bar will be open from 6pm. Following the conclusion of the festival we will all be adjourning to the newly opened Cask & Bottle for what I believe the young people call an after-party. See you there. Six anarchist drummers hold a city hostage with acts of musical criminality while a tone deaf detective tries to track them down. This is a real treat – one of the most inventive, entertaining and unique films of recent years. 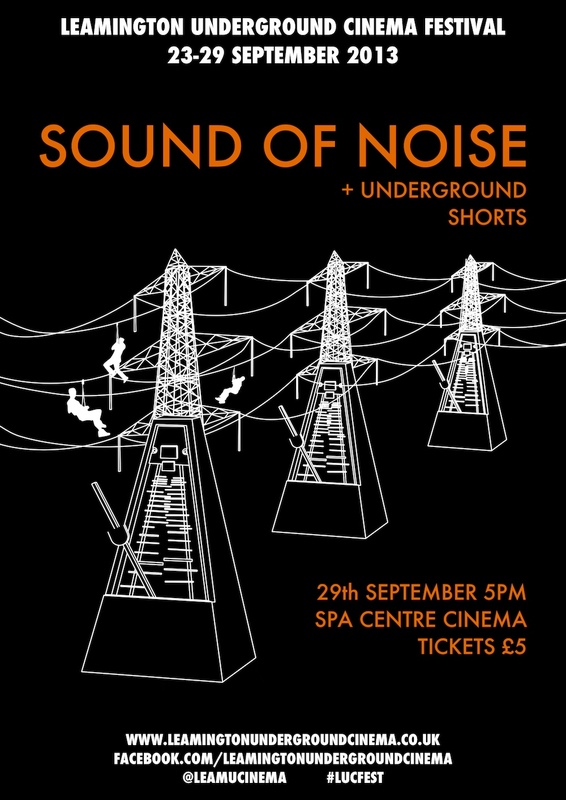 LUC is delighted to be screening Sound Of Noise as the closing feature of our first festival just before the exciting short film awards. Also screening will be a selection of fantastic Underground Shorts that have been submitted for the LUC short film prize. This all kicks off at the Spa Centre Cinema at 5pm sharp. Tickets are just £5 and can be purchased on the door, in advance by clicking right here or from your favourite LUC operative.